Why has the use of the term “populism” been imposed when we already had at our disposal the term “demagogy,” which seems to designate the same thing? Or are we to think that the new term refers to a new phenomenon, and that the new populism is something different from the old demagogy? To broach the issue, and as a provisional hypothesis, I offer the following proposition: the term “populism” has the same pejorative connotation as the term “demagogy,” but where demagogy indicated a mode or manner that could affect all political orientations—there can be a demagogy that is liberal, socialist, conservative, etc.—populism designates in addition if not a doctrine, at least a specific content or orientation. The order which is ever more our own results from Right and Left each having abandoned its specific populism. That abandonment has barely been softened, and ever less so, by occasional election season rhetoric that no longer even tries to appear sincere. I am not revealing secrets here. Everyone knows what has happened and is familiar with the names and the dates. In France, the Right was the first to abandon its people, le peuple national, when the “liberal and European” Valéry Giscard d’Estaing succeeded Georges Pompidou in 1974. Less than ten years later—a delay principally attributable to the unity of the Left made necessary by the strength of the Communist party—the socialists in turn abandoned their people and substituted the European project for the socialist project with an alacrity that should have surprised us and made us think. While habit and amusement led everyone to keep exchanging old insults, the Right and the Left converged in a common European project without which, by the way, this cohabitation which awed the French would not have been possible. What perhaps contributed more than anything to concealing from us what was happening right before our eyes was the “Le Pen phenomenon.” This phenomenon took center stage during the two-decade transition of the Left and Right away from their specific populisms. The two chronologies exactly superimpose one another. With the regularity of a Swiss cuckoo, Jean-Marie Le Pen popped obligingly out of his clock to reveal to us his grammatically impeccable and politically revolting propositions. The dual abandonment of the people thus developed with a kind of alacrity, protected from the odious name that the idea of the nation and the idea of the people, as well as those of France and the French people, received from being associated with Le Pen. The new order based on the polarity between respectable politics and unacceptable opinions, between orthodoxy and heresy, notably began to organize precisely on the occasion of the Le Pen phenomenon. It was during the Le Pen phenomenon and with the tireless help of its eponymous hero that the parties of the center raised, expanded, oiled, and perfected the moving spectacle in which respectable citizens, with unanimous indignation, expel from the city these wolves with which, they insist, they have nothing in common. Now Jean-Marie Le Pen has absconded from the stage, and what is more, no one needs him anymore. He became a hallmark, an emblem with which to mark the dishonor of all those for whom the ideas of the people and of the nation remained in any way a central reference, or in any case important and legitimate. Thus, during the 2012 presidential election, the socialist Arnaud Montebourg was “lepenned” by Jean-François Copé, general secretary of what was then the UMP, on grounds of his protectionism. An interesting recent development is that “liberal and European” economic policy has been placed under the protection of the orthodoxy built during these twenty years. Whoever has doubts about the appropriateness of the economic and financial choices of those who lead us is suspected of frequenting the rivers of hell. The movement of globalization, with its impressive power and consistency, spreads under the banner of democracy and its continual expansion. It is here that the contemporary political drama unfolds, for democracy, both in its original meaning and its modern form, presupposed that a people established the mode of government. Greek democracy rested on the demos—in other words, the group of members of the city who were not “distinguished.” Certainly, such a democracy was torn between the claims of the many and those of the few. The secret of the greatness of Athens, according to Aristotle, is that it was led by a series of “leaders of the people” who, although they were members of the aristocracy, defended the interests of the people and governed the city impartially. In modern democracy (and here I engage in a rather violent abridgement), the people change in meaning. The people are no longer a part of the city. They merge with the city itself, with all the citizens, or, as one used to phrase it at the beginning of this movement, with the generality of citizens. The people mixed up with the city, or the city mixed up with the people: this is what we call the nation. One can have very different interpretations of the modern democratic experience, but it seems to me that this can hardly be challenged. The implementation of civil and political equality, namely its emancipation with respect to the different orders and bodies which made up the Ancien Régime, is inseparable from belonging to a new political body, the sovereign nation. The clergy and the aristocracy were transnational or international orders. Civil and political equality demand the fusion of all elements into a homogeneous body, into a united people who assume the political name of the nation. The homogenizing pressure, the destruction of all the intermediary elements between the individual and the nation, was perhaps more pronounced in France than elsewhere, but the process was the same everywhere. It is inseparable from the democratic movement of modern societies. In short, the modern democratic movement is inseparable from the national movement. The reciprocal dependence of democracy and the nation is not a simple phenomenon. The notion of the people is heavy with ambiguities. One knows that movements which are said to be nationalist, those which invoke the people the most emphatically, often turn against democracy and its institutions, in particular parliamentary institutions. The parliament, the fleeting public opinion captured by elections—all of this in their eyes had only an accidental, unsubstantial character, while the substance of the people lay in its enduring or even age-old institutions, such as its army or its Church. The substance of the people was better guarded by these authoritarian institutions than by liberal institutions, always suspected of dissipating it. It is these phenomena (to say nothing of the “hyperbolic” wars that set European nations against each other in the twentieth century) which discredited not only nationalisms but the nations themselves, and motivated or justified the movement we describe. This movement aims at forming what I have called a pure democracy, a democracy without the demos, a democracy without the nation, nonnational or postnational. 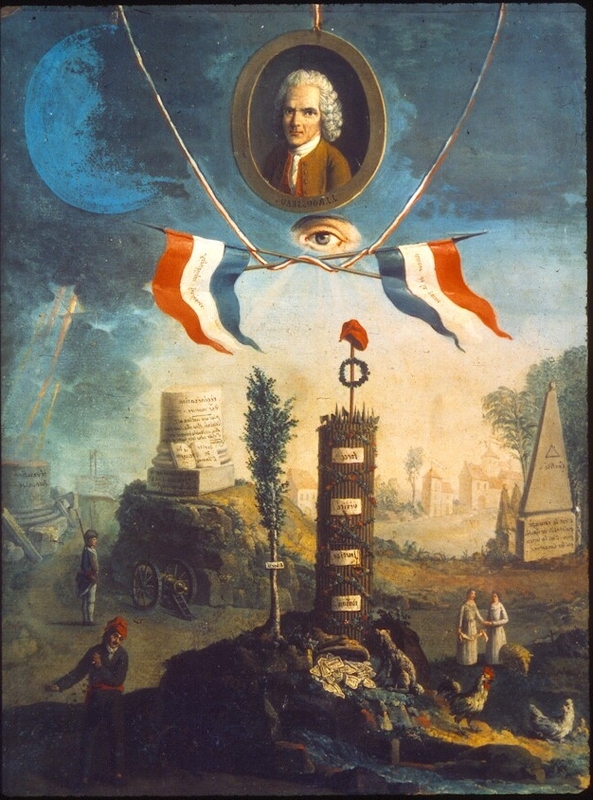 This movement assumes that one can entirely separate from each other two aspects of democracy which were until then complementary; or, in the words of Benjamin Constant which have become familiar to us, that one can entirely separate the liberty of the moderns from the liberty of the ancients. The liberty of the moderns refers to the protection of individual rights and enjoyments, which are the principal cares of the modern man; the liberty of the ancients refers to participation in collective power or communal action, which constituted all the charm of ancient lives. In more abstract terms—but we speak of a movement which tries to abstract us more and more from our inherited conditions—this means freeing a democratic universalism, the pure universalism of the rights of man, from all particularity which, in attaching man to a group, limits him, bonds him, and finally corrupts him and even ruins him. This is an asceticism to deliver us from any attachment which belongs to us, and from any attachment to collective membership. All sorts of questions come to mind. I will limit myself to one essential remark. The movement which was engaged in this way abandons the principle of democratic legitimacy. The rules of collective action no longer need to be validated by popular consent. They suffice unto themselves since they have been well constructed—that is to say, in conformity with certain principles of equality, of liberty, of a free and undistorted competition, of fairness, etc., principles which can be judged by all sorts of agencies or boards, public or private, whose legitimacy is based on their assumed competence in evaluating social action according to these criteria. The democratic system which rested on a certain equilibrium between executive power and legislative power tends to be substituted by a system which is dominated by a scattered and diffused judicial power which derives its legitimacy from itself. This power acknowledges that it is a kind of enlightened despotism: public opinion and popular assemblies do not have access to these unelected boards who deliberate behind closed doors. There is the odor of the Ancien Régime in this arrangement, which hands over to sovereign courts the interpretations of the rules of action. But this Nouvel Ancien Régime bears one very significant difference from the old. In the Ancien Ancien Régime, the sovereign courts were the guardians of inherited rights, and thus, if I may say, of social immobility. It is against these courts that the royal administration had to assert the legitimacy and the necessity of movement. In contrast, in the Nouvel Ancien Régime, the sovereign courts assign themselves the task of guaranteeing the rules of mobility and of advocating for the necessity of movement against the executive and the legislative, against governments constantly suspected of slowing down movement out of deference for established rights and popular opinion. We are thus led to make this suggestion concerning the history of government in Europe. Representative government found its legitimacy as well as its necessity over the course of the eighteenth century, when popular consent became necessary for the executive to be able to make people accept the decisions which social activities, particularly commerce, called for. National membership, with the education in the language and the way of life of a nation’s people, became the fixed element of a social life in which all the parameters began to move at the same time. National membership was the condition of social mobility. Today, national membership, along with the representative government that implemented it, appears to be the principal obstacle to this mobility that, as we have emphasized, assumes a religious aura under the name of globalization. In the classical period of representative government and of democracy, the government sought popular approval for the impetus that it wanted to give to the movement of things, for the “modernization” which summed up the agenda of every responsible political actor. In the new period in which we live, in this enlightened despotism or this Nouvel Ancien Régime that I seek to characterize, representative government and popular consent—that is to say the democratic bloc—together form the obstacle to the movement of things. These remarks today are confirmed by the crucial experience of the financial crisis that began in 2008. The European Union was built on the new principles that I have just tried to formulate. These are the principles that give their legitimacy to European institutions. We speak in vain, even when it is sincere, of the “democratic deficit” of the European Union. The European Union has a jurisdictional and procedural legitimacy which excludes democratic legitimacy and which is incompatible with it. The Greek crisis demonstrates the point with a brutality one hopes is at least enlightening. This time at least, following the verse of Aeschylus, may suffering produce knowledge! The supposed “federalists” can cry out that the hour has finally come to “federalize” this or that. What they mean by “federalizing” this or that is institutionalizing even further the jurisdictional and procedural power of which I speak. We will not substitute a European political legitimacy for the national political legitimacies that failed. We will instead use the prestige of the European name to squash national legitimacy and give still more despotic power to the rules of mobility, both of men and of things. No new political legitimacy that would finally be “European,” no new political body called Europe, no new people that one could call the European people and which would have found its representation, will emerge from the crisis. It will only have exacerbated the less and less enlightened despotism of the Rules. The solution will be even less favorable for a federal Europe than some believed after their panic, as the friendship among European nations will have been gravely wounded. Inexcusably, France and Germany, hoping to extend their role as founders although it has already evaporated, are the friendly executioners of the very Europe that they claim to build or at least to preserve. Whatever the errors of Greece, its suffocation, which everyone saw from the beginning, did nothing except aggravate the crisis rather than contribute to its resolution. It was an interminable public torture, a methodical humiliation of this nation that is said to be not particularly indispensable to the completeness of Europe. This was a prohibition cast onto the national form and its democratic regime, subjugated from that time on to the name of the transparency of public accounts, to the secret government of some twelve legates in Brussels. I have tried to describe precisely the trend of governance that is at work in Europe, at least in the eurozone. What began in Greece, which one hopes will serve as a lesson, is now revealing the full ineffectiveness as well as the brutality of the politics being driven by the aforementioned Europe. We speak a lot today of the limited capacities of national governments, and of the loss of legitimacy to which that leads. But it will not take long to appreciate the ineffectiveness of the despotism of Rules. Having discredited corrupt governments and idle peoples, European governance meets its own intrinsic weakness, which lies in the fact that it offers citizens nothing but the prospect of an indefinite course pursuing a horizon always pushed back, under the control of arbitrary criteria coming from who knows where, administered by faceless bureaucrats in whose competence one is obliged to believe. Only the representative government of a people formed into a nation is capable of evaluating the appropriateness of criteria and adjusting obedience to the rules. To put it in the language of Greek political science, only such a government is capable of balancing movement and rest in a just, or in any case tolerable, proportion. One will object that these representative governments let their nations sink into increasing debt from which they do not know how to emerge, and the despotism of the Rules condemned here is only a necessary and even urgent correction of an intemperance that common sense should have amended a long time ago. Criticism of national governments is undoubtedly often justified, but one must add that the promise made to the people of indefinite progress without the reverse was not exclusively the work of governments incapable of telling the truth to their voters. The globalizing movement itself, with its accompanying discourse, intensified what I would call the traditional progressive promise. It invited each person to ignore the limits previously placed on his desires by his age, the manners of his milieu, and the habits of his nation. No one is more intemperate, nor more ruinous for the nation and the planet, than the free individual who no longer acknowledges any limits, “because he deserves it.” In any case, judicious obedience to the rules, and the elaboration of a judicial rule in the first place, can have no place except in the framework of communal action of which a people organized as a nation is the subject and the source. This traditional framework of democracy in Europe does not guarantee any particular result, as we have sufficiently witnessed in recent history. But nothing humanly decent is possible outside this framework, as we are beginning to experience. To the constraints of the international economy, Europeans have added for themselves the obligation to have faith in the exclusive legitimacy of a globalized humanity. The Europeans are the only ones in the world who serve this religion which oppresses them. Others put up with the constraints and take advantage of the international economy with the explicit aim of strengthening the resources and prestige of their nation. While non-European peoples fill their sails, Europeans fold them up. Yet they do not have another ship at their disposal, certainly not the phantom vessel of the European Union. No one knows if European peoples will rediscover the taste and capacity for acting as units of fully legitimate political action. The only nationalism that threatens them today is that which is born of humiliation and discouragement. One can indeed fear that nations unceasingly rejected, discredited, and punished would finally give themselves over to a kind of desperate nationalism. If this happens, the demagogy of populisms will bear much less responsibility for it than the fanatical globalization of the parties of the center. Evelyn Flashner is a graduate student in political theory at Harvard University. This article was originally published as “Démagogie populiste et fanatisme du centre,” in Le peuple existe-t-il ?, ed. Michel Wieviorka, Les entretiens d’Auxerre (Auxerre: Sciences Humaines, 2012), 275–86. Reprinted by permission of the author and the publisher. This translation appears in American Affairs Volume I, Number 2 (Summer 2017): 9–18. Pierre Manent is director of studies at the Ecole des hautes études en sciences sociales in Paris.